Fuma Natural Antagut Review – Scam or the Real Deal? 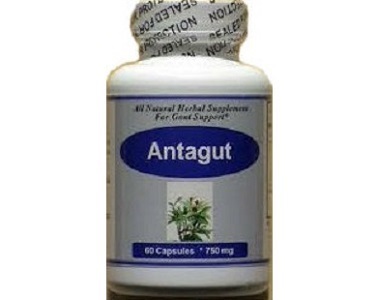 Today we review a natural plant-based remedy for gout called Antagut. It is an alternative remedy as it does not contain the usual vitamin, enzyme and other compounds used in natural gout remedies, but relies on a combination of Western and Eastern traditional remedies. Fuma Natural’s philosphy is that when the body is in balance, there can be little room for disease to thrive. 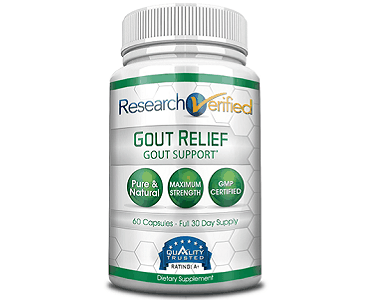 When applied to gout, we take this to mean that Antagut increases the body’s level of alkalinity, and therefore reduces uric acid’s ability to cause swollen, sore, inflamed joints. We note that the product contains a digestive aid called Berberine, which makes sense given that foods containing purine are one of the main reasons behind elevated uric acid levels. If these are broken down and properly moved through the body’s waste channels, it goes a long way to preventing gout breakouts. Morinda – A antioxidant that supports kidney function; helps move waste through urine. Eclipta – Detoxifies the liver, reduces inflammation and soothes irritation. Alisma – An aquatic plant that has been linked to cleansing the liver, bladder and kidneys. Prunella – A herb sometimes found in salads. It is linked to good lymph node functioning and removing toxins from the body. Berberine – A compound that helps the body with digestion, and would therefore help to break down purines. One bottle of 60 capsules costs $19.50 on the product website. There do not appear to be upsale or bulk discounts. This is a one month’s supply. This is a 10-day supply, so it could become costly if you stay on it long-term as a supplement to manage gout reoccurrence. You get 15% off when checking out 3 bottles online – these then come to $49.72. 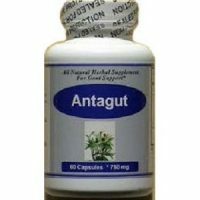 How Do You Use Antagut? The manufacturer recommends taking a total of 6 Antagut capsules. Take three at a time, twice a day. The starting point is that as long as you provide a copy of your packing slip or order confirmation and return your bought products back within 3 months, you will get a refund. The further terms and conditions state that all unopened bottles will be refunded, but that you will only be refunded for one unopened bottle per product name. Although not much is known in the West of these Eastern remedies, the formula makes sense in that it purportedly aids digestion of purines, alkalines the bloodstream and keeps the kidneys and liver healthy so that they dispose of toxins and other irritants efficiently. Those irritants in the case of gout would include the purines causing acid build up. However, it must be noted that most botanical and Chinese remedies, while generally effective, take slightly longer to work. It is likely that your gout symptoms will take longer to ease. As a chronic medication, it may be a good idea if you have deep pockets. You’ll need to reorder your supply every 10 days and, even with a 15% discount on 3 bottles, you’ll still pay close to $50 for your month’s supply. That makes it one of the costliest natural gout remedies we have come across.